To match the excitement of the fall migration of geese happening here on the Canadian Prairies right now, I thought we’d celebrate with our own migration! I’ll be migrating some of the content from my lifestyle blog over to this blog in order to fill in the blanks regarding my research for Chocolatour, which formally began 2 years ago … in the fall of 2009 … with a trip to Belgium, France and Switzerland. Rather than repeating those posts (which you can still read over at the Blogger blog,) I’ll update them by giving you choco-centric information that will be a teaser for what you’ll find in Chocolatour: Your Guide to the Faces and Places of Chocolate. 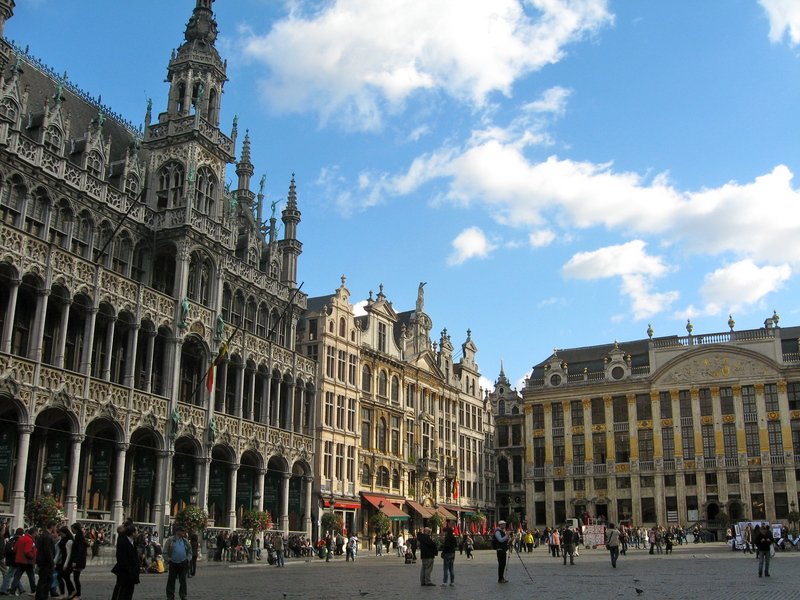 Let’s start with Belgium, and our glorious time in Brussels, Florenville and Liège, Belgium. I visited those three particular cities as they are home to three of Belgium’s finest and most innovative chocolatiers. 1) Chocolate! (But of course!) There are probably more chocolate shops in Belgium than any other place on the planet! In Brussels and Bruges, in particular, you’ll encounter a chocolate boutique every few steps. And the chocolate is amazing. In most cases, it’s handcrafted by local chocolatiers, each with his or her own unique style to entice you. Experiment! Try many and find the right chocolate personality to match your own. Think of it as chocolate dating, and what can be more satisfying than that! 2) The Belgians are really nice. You’ll find most Belgians to be a friendly, helpful people. Try to engage in conversation. Knowing a little French will be helpful, as French is the principal language spoken in Brussels. But you will find the Belgians to be much more humble and accommodating than their French neighbours, making a trip to Belgium pleasant and engaging. 3) Beer! I’m not a big beer drinker, but the Belgians really know their beer, and if you’re fortunate enough to visit during the warm summer months, nothing will refresh you better than a frosty mug of Stella Artois on one of the gorgeous patios! Please share your own special memories about Belgium. We’re celebrating World Tourism Day today, and I can think of no better way to do so, than to celebrate the attributes of other cultures with our fellow lovers of travel. See you back here the week of October 10th, when we’ll meet some amazing men of chocolate. 2) What valuable lesson did you learn from it? I’ll start the ball rolling. 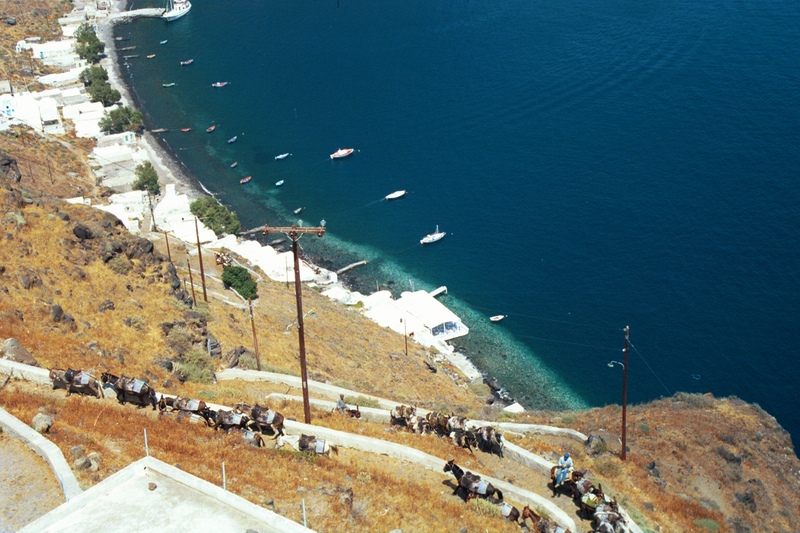 My most memorable travel moment was back in 1996, during our week-long visit to the Greek island of Santorini. We’d taken a marathon 12-hour tour around the island on a particular day and ended up arriving by small boat to the island of Thirasia. Up above on the cliffs, we spotted the village of Manolas, and were told that there were only 2 ways to reach it. Walk up, or take a mule. We chose the mules. Now, let me explain that there are/were no groomed trails to get you up to the top of the hill. And no guard rails to ensure you didn’t fall the considerable distance down the cliff to the sea. But there I was, purse in my lap and camera hanging from my shoulder (this was during the days of the much larger and heavier old DLS film cameras), and trying to hold onto the mule as we swayed side to side, slowly climbing the rocky cliff to the village at the top, where we were told we would be treated to amazing views and a nice lunch. On arrival, Reg and I got comfortable and sat ourselves down for lunch and a couple of well-deserved beers in the late afternoon heat of the sun. We were truly exhausted, but over the course of an hour, were invigorated by the stunning vistas which provided amazing photographic opportunities, the terrific food and the refreshing libations. But suddenly, we noticed the trail of mules making their ways down the cliff without any passengers! I ran screaming after them, only to be told by their keeper that the mules quit at 4 pm each day (they must have been unionized!) and we would have to walk back down to the boat. Thank goodness my knees were in much better shape back in 1996. I know some of my fellow travellers suffered considerably from that unexpected experience. Lesson learned: NEVER take anything for granted when you are travelling. You may be told that the mules will take you up to the village, but be sure to find out how you will get down. And be sure you can deal with the challenge. Never assume that the conditions are good, or doable for your abilities. Make sure you confirm that BEFORE embarking on any side excursion, and if there is a language barrier (as there often is in travel), do not let yourself be rushed into making a decision that could have very serious repercussions. On the other hand, sometimes we have amazing travel experiences by stretching ourselves and doing things we likely otherwise would not have done and that is great. I’ve done many of those myself, including parasailing, swimming with sharks and stingrays, a shopping diversion in Jamaica that literally caused us to miss the departure of our cruise ship, and many, many other priceless moments. If you’d like to read the complete story of our Greek adventure, you’ll find it here. And then please share with us your most memorable travel moment, and the valuable travel lesson learned. I’m really looking forward to hearing your stories. The next new post will be uploaded here during the week of September 26th. Stay tuned to see what diversion we’ll take next!